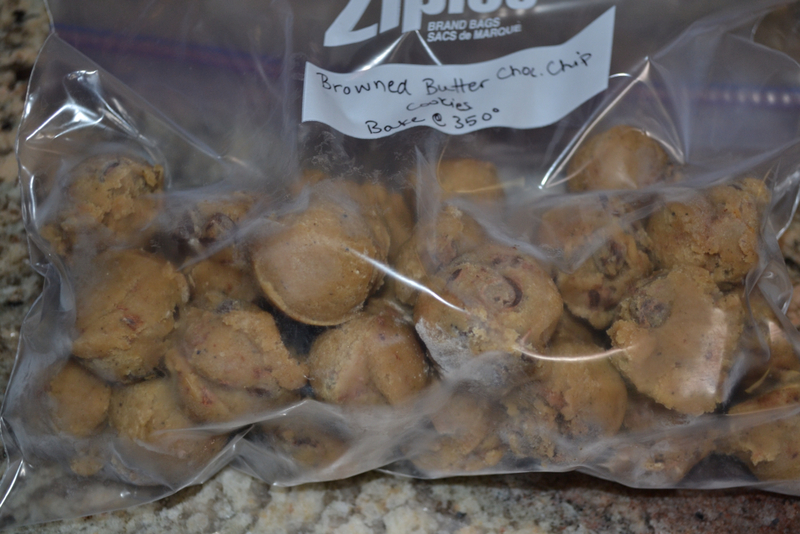 The very best way to freeze cookie dough! Have you ever wanted just one or two (or maybe JUST three or four) cookies? And if you are going to have a cookie (or multiple) then you really want a warm gooey just out of the oven cookie, right?! So...I have found ( well really my sister Lauren, the true Baker in the family, has taught me) that the best way to do this is to double your favorite cookie recipe and instead of baking all the cookies and saving them in a Tupperware container for later, you freeze the little dough balls and keep them in the freezer for later. First, you make the dough. Second, you roll the dough into little balls and place them on a cookie sheet. 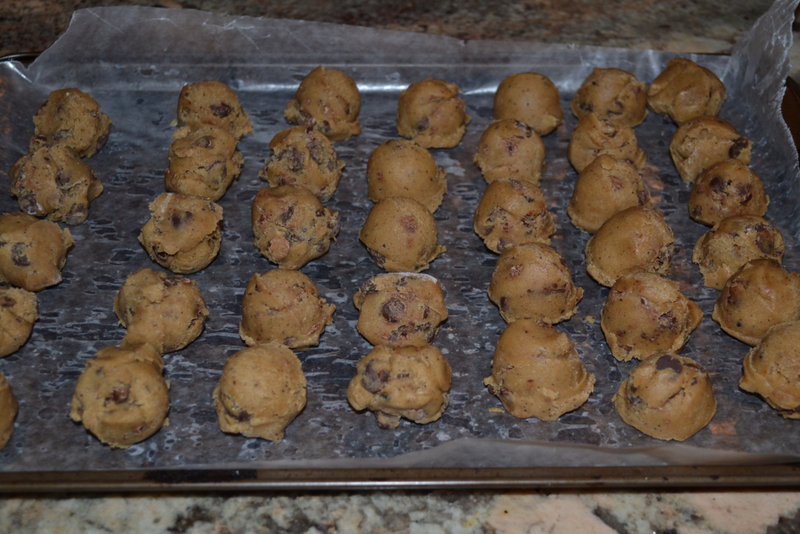 Third, place the cookie sheet on the freezer overnight. Fourth, put frozen cookie dough balls in a ziplock container with how long and the temperature to bake them at in a Ziplock bag. Wallah! 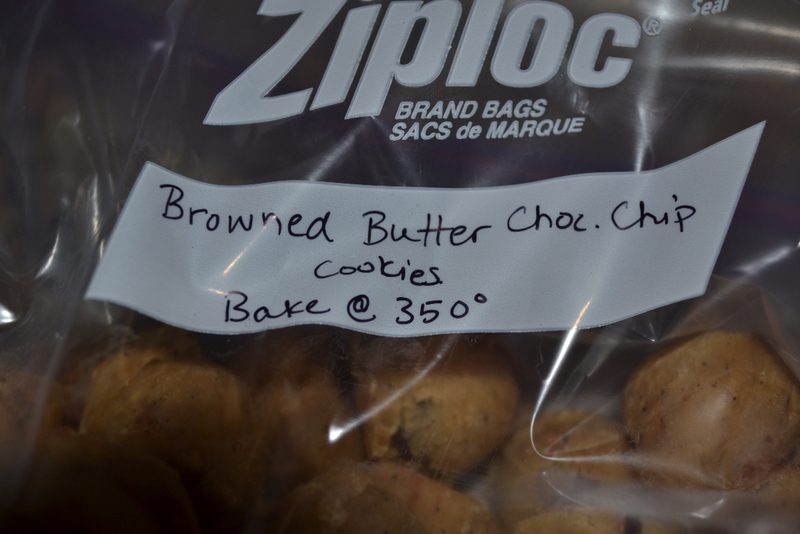 Hot baked cookies on demand. Beware- this can be dangerous! I can often times resist cookie midday if it was made the day before. 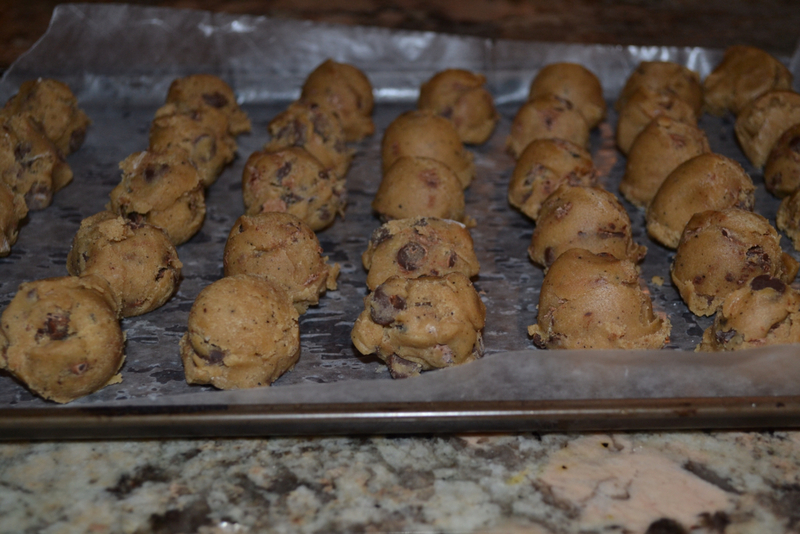 I can almost never resist a warm just put of the oven cookie. 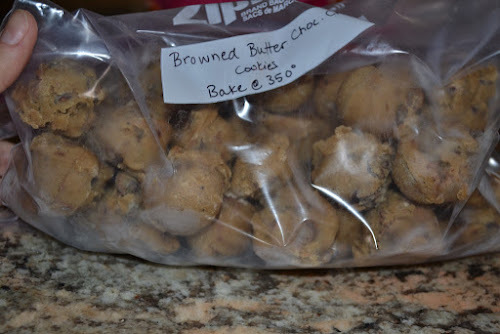 Now you can always enjoy a very freshly baked cookie.